Two best friends set their sights on becoming the world's greatest skateboarders. The show is a very poor formula that's been overly used by Disney shows a good decade before this. It's not even the fact that it's basically a reincarnation of previous productions smashed together with a Skateboarding twist. It's the fact that everything is done in such low quality that make this lack-luster. The humour doesn't make sense in its entirety. The humour I got from this show was watching the blank unimpressed faces of my niece(7yrs) and nephew(5yrs). I've never seen such an astonishing thing seeing as they love almost anything that Disney produces. I can't just fault the jokes, but the writing as a whole; The dialogue & the plot(s) were low quality. It really did feel like they hired some random humour-lacking 6th graders to write for the show. The writers are all 30yrs+ old and this is what they are producing... shameful. Everything in this show was predicted by my niece and nephew minutes before it happened. The 1st episode was horribly structured and rushed. Taking 2 kids which are virtually strangers to the audience then quickly making them pro-skateboarders in which the mischief and awkward situations ensue to an anti-climatic ending. 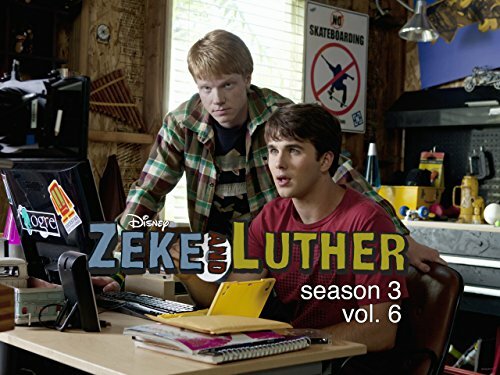 The only dilemma in the episode was Zeke's(Hutch Dano) toe in the faucet and Luther's (Adam Hicks) bad neck. The whole situation with Zeke's Toe and Faucet is, well, as my niece said "dumb" and she said that with great distaste. Luther's neck injury just doesn't make sense overall. Someone that young would need a more forceful and violent action to sustain a neck injury like he did; It's not like he was 40yrs of age. Then there's the acting, very heavily exaggerated and sarcastic to the point that everything they do displays these two emotions and nothing else. It's almost as if the talent doesn't care about the characters in which the characters look like they care about the situations they encounter. Not surprised that they went through 3 directors in 9 episodes, the actors looked slightly confused and lost in their performances. The only talent doing their job well was Ryan Newman, but again very unoriginal character and the writers didn't develop her character enough to be meaningful to the show. The only thing they got right was the complex love/hate of the skateboarding community. The skateboarding community is very much an Elitist community, however respect is given conditionally. They did capture this with the camaraderie between Zeke, Luther and Kojo(Dan Curtis Lee) in the first episode. After that however writers become to fictional. They make it seem like becoming a pro is nothing but a snap of the fingers. There are so many steps and hardships involved with the progression of becoming a professional skateboarder that this is nothing but a huge insult to any skateboarder out there doing it as a career or aspiring to go professional. When I 1st heard about this show back in 2007/2008 or sometime like that, I really perceived it as 2 idiots who thought they were so cool simply because they skateboard, and I never watched until this summer when I finally decided to give it a chance, and guess what, I ended up liking it!!!! I think Hutch Dano and Adam Hicks are funny guys, and I'll be honest with U, I only started watching this show after I had already seen Lemonade Mouth and that's because I used to think Adam Hicks was retarded because of this show, but now I see that in real life, He's a cool, collected and serious guy. I have to admit that Daniel Curtis Lee(Kojo) is somewhat of an over actor and he makes his character seem so crazy and out of control, especially with his facial expressions. 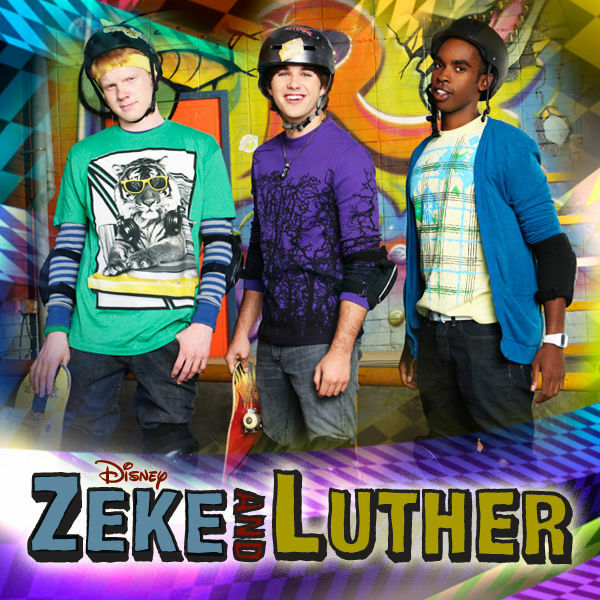 As much newfound respect I have for this show, I have to say that it's true that Zeke and Luther has some similarities with Drake and Josh, in terms of the character's personalities. I give this show an 8/10 because it's not the best but it's far from terrible.